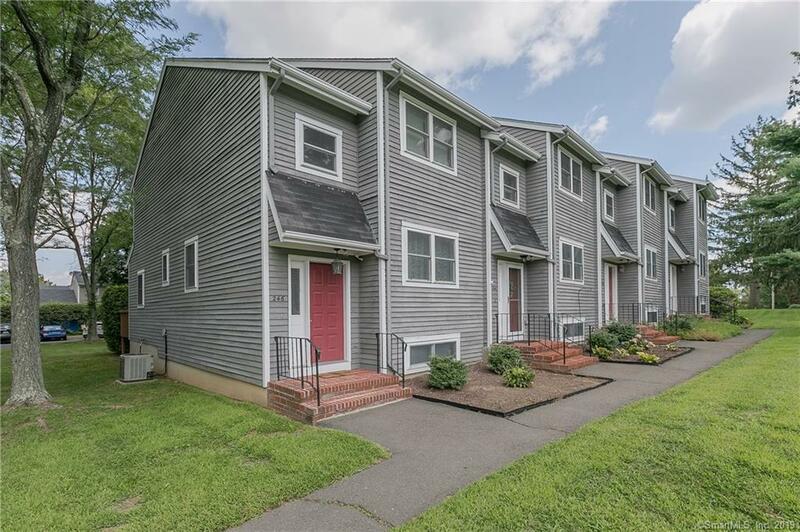 Bright and sunny recently remodeled end unit townhouse in exceptionally convenient location. Steps to schools, park, playground, restaurants & shopping. Minutes to Metro North Train, Fairfield Beaches, golf & tennis. Main level features Newer kitchen with Stainless Steel appliances, tiled backsplash, dining area overlooking step down living room with sliders to deck and half bath. Upper level features 2 spacious bedrooms and full bath. Newer Brazilian Cherry Hardwood floors throughout. Finished lower level playroom, office or family room additional living space (not included in square feet)! Great opportunity not to be missed!